Summer passes quicker than you expect – especially for those who are taking a break! It seems like it was only yesterday that it was the start of the summer and time has flown by to where school is just around the corner. For many parents, teenagers and children, this is the time they start to think about the supplies they need to go back to school. From stationary to clothing, bags to shoes, retailers have an ideal opportunity to sell, sell, sell. 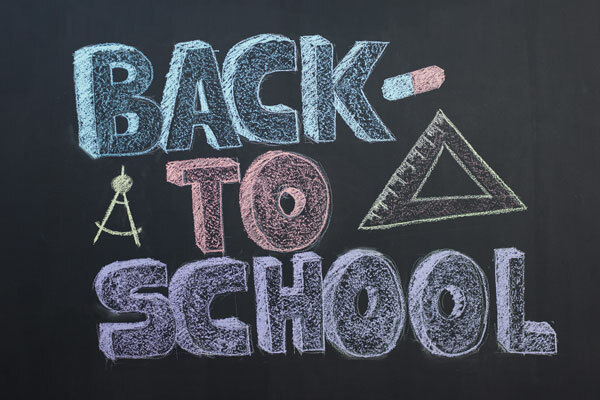 Ideally as a proactive retailer you should start your back to school promotions well in advance of the actual start of school, in order to catch those planning ahead and give your marketing longevity. The beauty of back to school campaigns are that, inevitably, every summer, you are able to reuse your marketing materials. So how do you market your back to school campaign to your customers? AGRetail is an experienced specialist in retail marketing. From conception of a brand through to growth and expansion, AGRetail have worked with small independent stores, corporate and nationwide chains, building effective promotional marketing campaigns and helping make sales soar. When it comes to promoting back to school offers to parents and their school age children or to teenagers looking to source their own clothes and supplies, marketing materials need to be bold, bright, eye-catching and fun! Window Graphics are a great solution for cost-conscious retailers; they can be easily installed and removed without residue, and can be rolled up and stored for next year. Wall graphics or a retail barricade can last a little longer, but for prolonged promotional periods, they are highly effective ways to get your message across. At AGRetail, your marketing materials can be printed in full color with a professional finish that turns heads. Why not talk to us today about how we can help you?